This is my grandmother’s recipe for Deviled Eggs, and it’s the best. I know that’s a lot to claim, but it’s a flat out fact. Being a Southerner, I’ve run across every kind of deviled egg on the planet, and these just have an incredible flavor most recipes don’t have. One note – a key ingredient to this recipe is the Worcestershire sauce. The only drawback is that it could possibly make the yolk filling a little bit browner than you may want. You can use the white Worcestershire sauce if the color is a big concern, but it won’t be the same. Still good, but not the same. 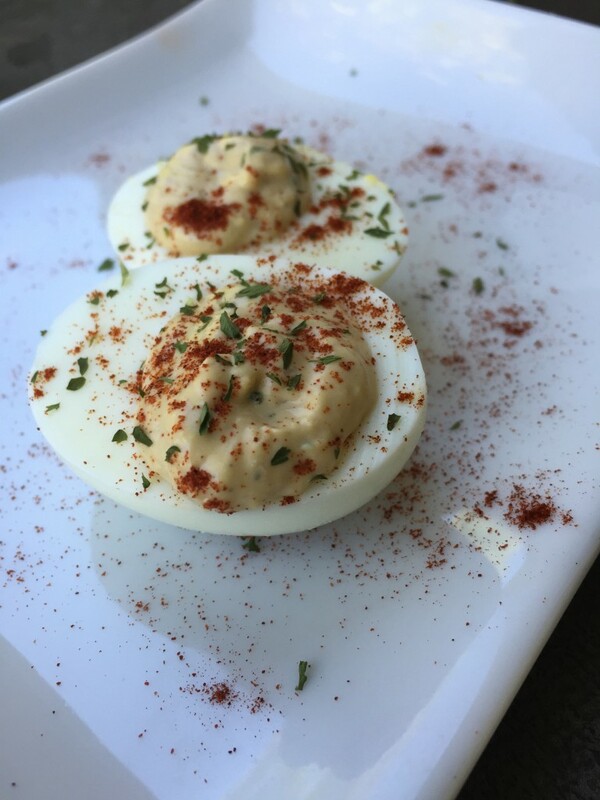 If you have never made deviled eggs before, check out the YouTube video below – there are some great tips and tricks in there for you! Place the eggs into a saucepan in a single layer and fill with water to cover the eggs by 1 inch. Cover the saucepan and bring the water to a boil; remove from the heat and let the eggs stand in the hot water for 15 minutes. Drain the hot water and cool the eggs under cold running water in the sink; peel the cooled eggs. wise. Place the yolks into a mixing bowl and set the whites aside. Mash the yolks with a fork until smooth; stir in the mayonnaise, Worcestershire sauce, horseradish sauce, hot sauce, salt, and pepper. Spoon the yolk mixture into a heavy plastic bag; snip a corner off the bag to create a 1/2-inch opening. Pipe the yolks into the egg white halves. Sprinkle with parsley and paprika to garnish.